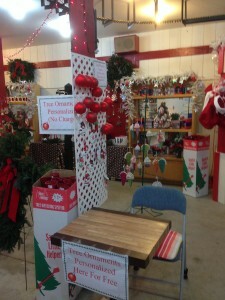 Our gift shop is the perfect place to warm up after finding your perfect tree. We have wreaths, stands, and decorations to complete your Christmas tree shopping along with complimentary hot chocolate and popcorn. Among the many items in our store are custom Carl and Dorothy Young Christmas ornaments. These, along with many other ornaments can be personalized with names and date!